Retailer Consumer Finance and Payment Cards in Europe is a report and associated PartnerBASE™ dataset that investigates the market for both retailer point-of-sale finance and co-branded / store cards in 15 countries: Austria; Belgium; Denmark; France; Germany; Italy; the Netherlands; Norway; Poland; Portugal; Russia; Spain; Sweden; Turkey; and the UK. Based on a survey of close to 2,900 major retail brands across these countries, including all significant retailers selling high-value products, the research identifies schemes for consumer finance and payment cards set up by each along with the providers used for these initiatives in each case (including card networks in the case of payment cards). In addition, in terms of balances outstanding, the report quantifies the value of the market for retailer point-of-sale finance in each country in 2017, simultaneously modelling its likely trajectory since 2013 and forecasting its outlook up to 2021. For each country, it also estimates the number of retailer payment cards in circulation in 2017 alone, setting this in the wider context of the market for all types of credit and other pay later card. 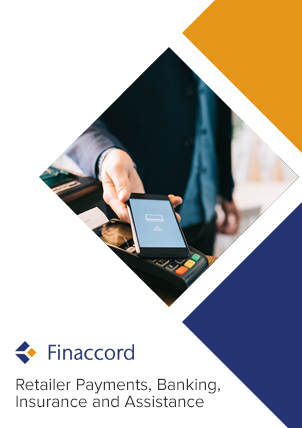 learn more about the growing influence of fintech competitors offering digital solutions, including multi-lender and omni-channel platforms, such as Deko, Divido, Klarna, Kreditech, PayU, Qliro and SeQura, and how these are helping merchants to increase their sales conversion rates.